Cucina Pro is a great company that makes many types of italian products from pasta makers to crepe makers. 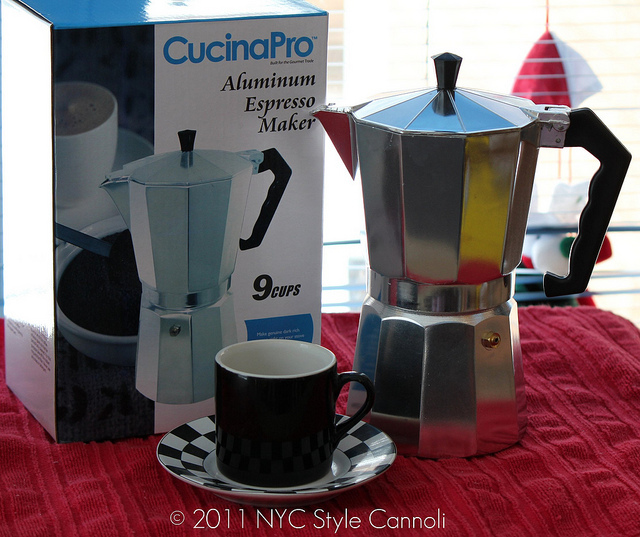 CSN stores was kind enough to send me a gift certificate to review another product from their website and I choose the Cucina Pro Espresso Maker. the espresso cup is our own.....the espresso maker is a very sharp looking item, easy to bring to the table to serve your guests. It is very simple to use, easy to clean and makes a great cup of espresso. It is made in Italy and of Aluminum which means it will last forever. 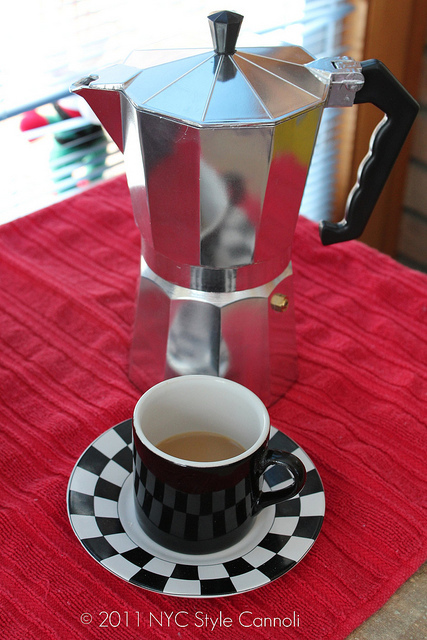 If you want a great cup of espresso, this is a must have for any kitchen....also makes a great gift as well. 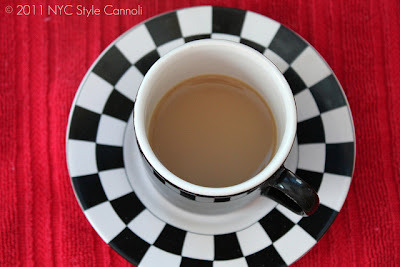 Even though they have so many automatic espresso machines, this stove top method is a great way to make a cup of espresso. And I think the design is quite chic on the table as well. yeah, it is a serious one and works really great. I am so anxious to get the new girl (camera) to the city...eventually we will get there! !